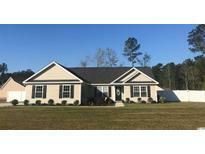 Below you can view all the homes for sale in the Yauhannah Landing subdivision located in Georgetown South Carolina. Listings in Yauhannah Landing are updated daily from data we receive from the Myrtle Beach multiple listing service. To learn more about any of these homes or to receive custom notifications when a new property is listed for sale in Yauhannah Landing, give us a call at 843-800-1007. You'll be proud to be part of this small community! *Buyers to verify square footage. MLS#1907452. The Dining Room table, the sideboard, and the piano do not convey. MLS#1906708. And it is just a short drive to Conway, Georgetown and area beaches. MLS#1906370. Make an appointment to see this an make it yours! MLS#1901396. Come on out to beautiful Yauhannah Landing and start living the life you have always dreamed of! MLS#1824054. Make an appointment to see this, make it your own and start living the life you have always dreamed of! MLS#1815991. It doesn't get any better than this so come on out to Yauhannah Landing and start living the life you have always dreamed of! MLS#1805824. It doesn't get any better than this so come on out to Yauhannah Landing and start living the life you have always dreamed of! MLS#1800258. It doesn't get any better than this so come on out to Yauhannah Landing and start living the life you have always dreamed of! MLS#1800261. Come on out to the beautiful Yauhannah Landing Community and start living the life you have always dreamed of! MLS#1800249. 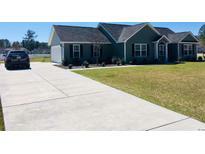 Come out to this beautiful community and start living the life you have always dreamed of! MLS#1800253. It can't get any better than this so come on out to Yauhannah Landing and start living the life you have always dreamed of! MLS#1725058. Come on out to beautiful Yauhannah Landing and start living the life you have always dreamed of! MLS#1725060.